Car companies rise and fall, but some stand the test of time and produce high-quality vehicles in a wide variety of styles. Nissan has been one of the leaders in the industry since the early 1930s. When you purchase a Nissan vehicle, you know you’re getting a reliable, safe, efficient, and comfortable model. So, does it matter where you shop for it? There’s more to the shopping task than picking a car. You look for excellent service, a wide selection, good pricing, and other factors. The best Nissan dealership near Chalmette, LA, will have all of these and other features. There are certain companies that when you hear their names, you automatically know they’re trustworthy, strong organizations. Not all dealerships have a positive public perception, but the best Nissan dealership will have a loyal following. If you want to get a good idea of how reputable a dealership is, you can read online reviews and see what current and former customers have to say about it. You should also check out the Better Business Bureau and its website. The BBB assigns businesses a grade; it uses many factors to come up with these marks. Do you generally feel better about buying a product at a place that has a proven track record of success over the decades, or would you rather shop somewhere brand-new with little or no experience? The answer may be obvious. Experienced dealerships near Chalmette, LA, have a wheel up on the competition. These places employ the top associates in the community and train employees on all the important facets of selling vehicles and in treating customers right. When you get serious about buying a vehicle, you’re about to make one of life’s most significant purchases. This isn’t a decision you should take lightly. The best Nissan dealership has a team of dedicated professionals who have your back and who want to do everything they can to put you in the right car at a price that works for you and your budget. The best places don’t hassle you into buying something you don’t want. These dealerships are free of pressure and hype. Instead, they focus on your needs and what’s best for you. 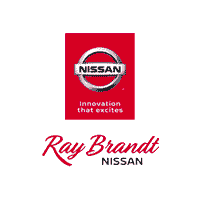 When you visit Ray Brandt Nissan, you’ll quickly see how effective it is in helping customers near Chalmette, LA. The choice will be clear when you want to know where to find the best Nissan dealership.